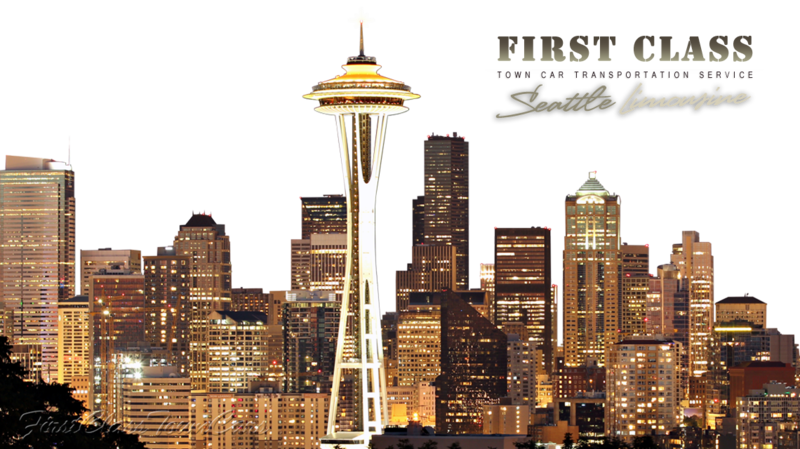 First Class Town Car Service, Inc • Seattle, Washington Private Car Service And Limo Rental, Limousine Service SeaTac Airport Transportation. 24/7 Transportation Service, Town Car, Limousine, SUV, Van, Mercedes Benz S550, Stretch Limo, Party Bus, Airport Shuttle. Any Limo Service Type, From Airport, To Airport, Birthday Party, Charter, Custom Itinerary, Hourly/As Directed, Prom, Point-to-Point, Round Trip, Road Show, From Seaport, To Seaport, Tour, Transfer, Wedding. 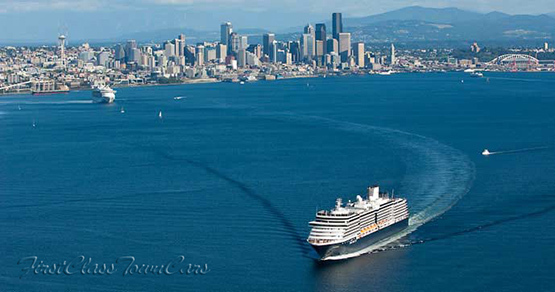 Book a Town Car, Stretch Limousine or an SUV, VAN, Bus, Airport Shuttle for any point in Seattle area. 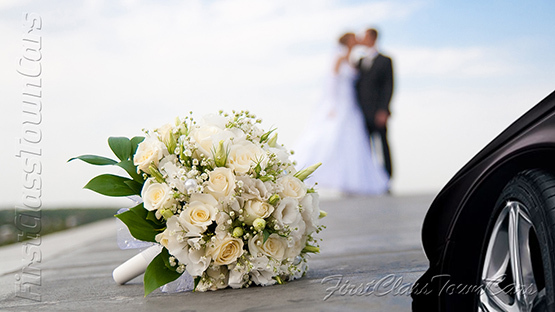 Door to door 24 hour service, convenient airport pick-up system, wedding specials. Designed a simple and intuitive booking platform. 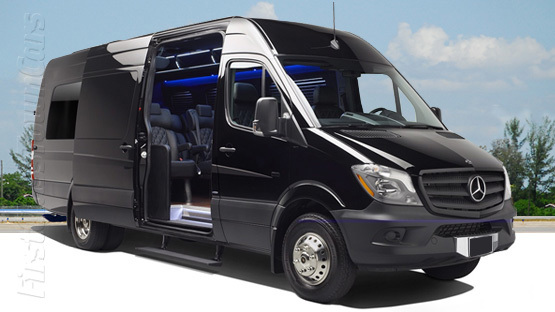 Fast, efficient and reliable services are what form the pillars of the corporate limo business. First Class Town Cars offers just that, we understand executives and other corporate employees need for prompt, reliable service and a chauffeur who knows the fastest routes. We are always on time and we have a fleet of the limo sedans which are by and large preferred by the majority of our corporate clients. Our limousines are all perfectly maintained, stylish and much more comfortable than taxi. For many teenagers, their prom is the big day they have been waiting for their entire scholastic career. It not only marks the symbolic end of their high school days, but means a transition into adulthood. 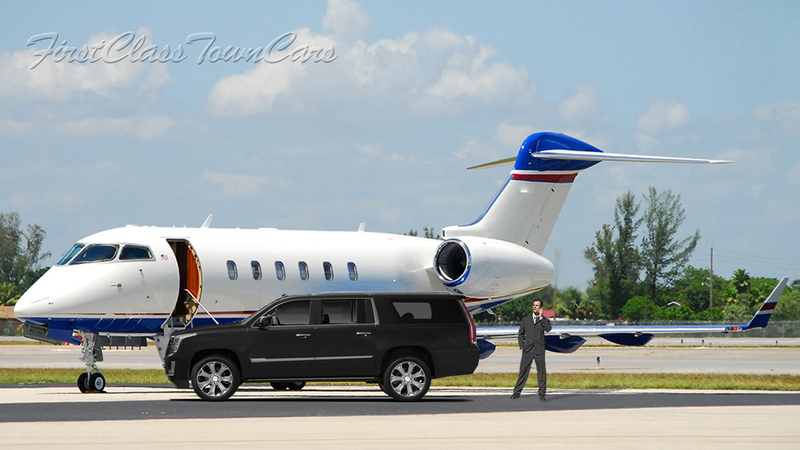 At First Class Town Cars, we are very experienced in surpassing the expectations of even the most demanding clients. We will ensure that everyone in our care not only enjoys their experience as if it is a fairy tale, but that they arrive to and from their big night safely. At First Class Town Cars, we understand that when you contract us you expect your limousine experience to be perfect and priceless. 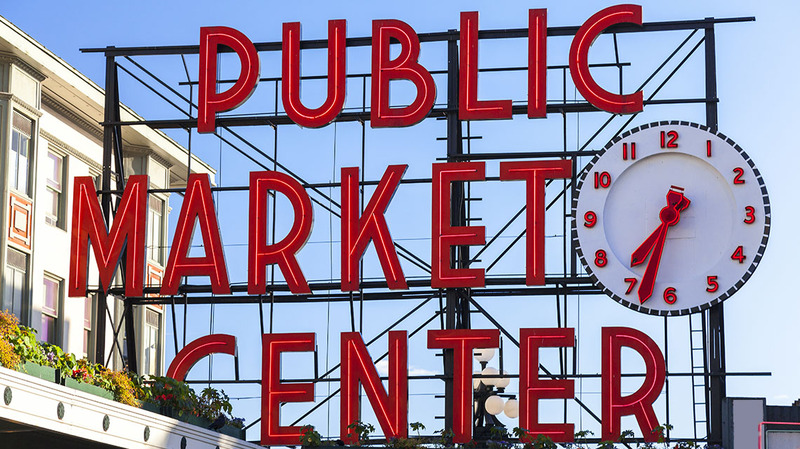 If you are going to Seattle rather than direct to the piers, see the price list on transportation options to or from the SeaTac airport. Snoqualmie Falls and Woodinville Wineries Day Trip from Seattle. You'll travel to this top wine-producing region in the comfort of a private vehicle. 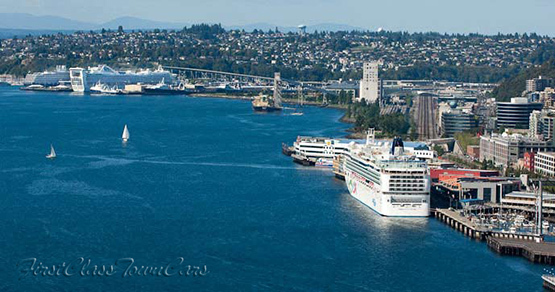 Our company provides transportation in a luxurious vehicle. Whether for business or pleasure, many people enjoy taking a limousine to the airport to celebrate a special occasion. Limousines provide transportation, entertainment, and the safety of a designated driver. Rates vary for limo services depending on the length of the journey, the number of people, and the type of car. Our limousine company may offer various vehicles ranging from town cars to exotic stretch limousines. Specialty limos can have full bars, disco balls, televisions, and even hot tubs! People use limo services for bachelor/bachelorette parties, wedding, birthdays, anniversaries, and a host of other special occasions. Depending on the car, limos can accommodate 1-26 people. 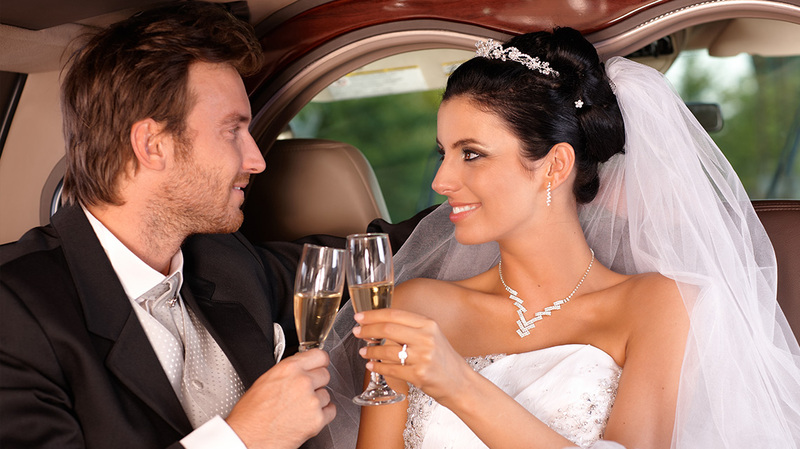 A limousine is definitely the easiest way to take an event to the next level.